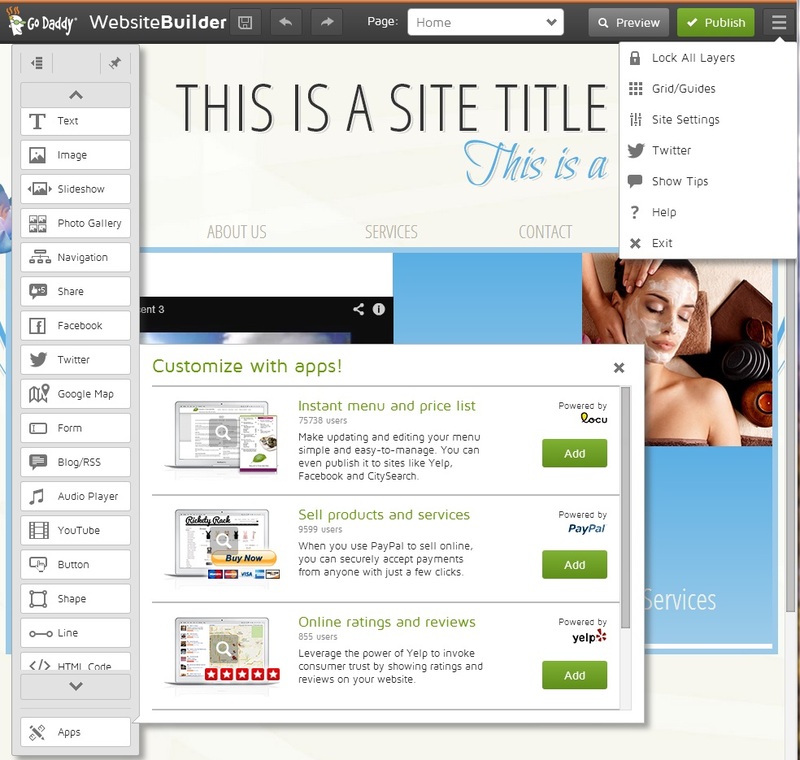 Go Daddy’s Website Builder is a drag-and-drop template-based platform that allows for full customization to create a website for your business. They are one of the plans that allow you to pay monthly, but you can also receive a discount for purchasing on yearly terms. With some annual plans, they even offer a free domain. In our rigorous testing of various website builders, Go Daddy earned a score of 68 out of 100. It scored very well for number of templates available, customization of site and support (24/7 phone, chat and email) but very poorly for changeability because once a template is selected, you cannot change templates without losing all of your content. 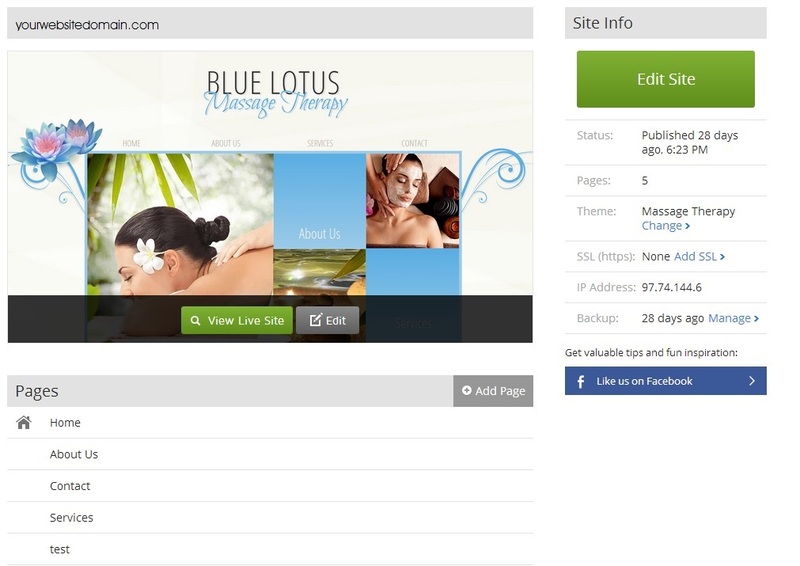 On the main landing page for their Website Builder, you can see some of the templates available to use with their service. After clicking on “Edit Site”, the builder itself has a plethora of tools available right on the main screens and they even offer a menu/price list generator through an app called Locu and can even integrate your Yelp reviews to your website. This builder offers a lot and if you need just a clean, functional site that has a mobile site you can customize independently of your main site, Go Daddy may be just right for you. If you need something you can add your own CSS coding to, this is not the right choice. Their customer support is available at all hours, but may be hit and miss with how much they’re willing to support over the phone, chat or email, but they do have a great repository of helpful articles on their support site. For additional information not covered here, please check out Go Daddy’s help section or if you’ve opted to utilize our partnership with ShowTimeDomains, contact Robert at Robert@ShowTimeDomains.com. We make every attempt to ensure the accuracy of this information. If for any reason the information in this article in not correct, please contact OurSuccessCenter@swiha.edu with the article link and the information that needs to be updated.